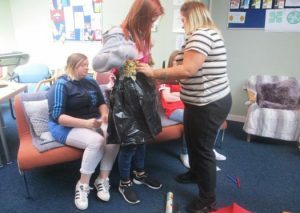 We have been working with Alternatives Dundee to deliver the ‘I’m the girl I want to be’ programme to the girls at DEAP. Part of Radical Relationships development programme for young women. The girls have been improving their confidence by talking and sharing their opinions on issues such as, friendship, relationships, appearance, fashion, TV, celebrities, social media and lots more. This has been a great opportunity for the girls to make friends, work together to carry out activities and share their opinions on important issues. They work with qualified staff to tackle topical personal issues in a safe, nurturing and fun environment. Any issues raised are followed up by Alternatives with 1:1 support, advice and advocacy available. The group has been very successful with positive feedback and results. It has been identified there is a need for a follow on group tackling issues and topics in a similar safe environment using art. This will be facilitated by qualified experienced staff as a pilot project using art as a tool to engage and break down barriers. 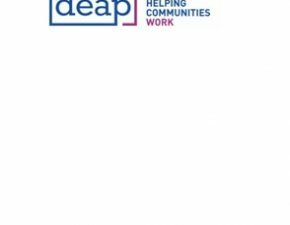 Support Workers from Next Steps are available also to deal with any concerns and issues raised and support young girls to make positive life choices. The girls were asked to make outfits out of different materials to show they can feel confident in whatever they are wearing.